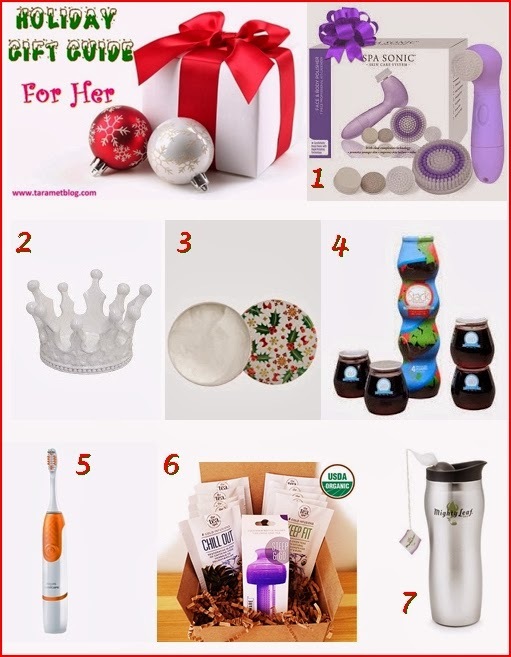 Here are some fun & fabulous gift ideas for your girlfriend, coworker, friend, mom, sister, aunt, mother-in-law, etc. These are my personal picks for all the great ladies in your life or some new wish list suggestions for yourself, all for under $50 too. 1. Give the gift of an at-home spa with the Spa Sonic Face and Body Polisher ($45 at Target and $39.99 at Costco with rebate). The Spa Sonic includes four brush head attachments unlike other spin brushes on the market today and at a more budget-friendly price point. A small brush for the face, a large brush for the body, a pumice pad for rough areas, and a facial sponge for microdermabrasion and reduction of fine lines; all of which are included with the device. The multiple attachment options for the waterproof device make deep cleansing, exfoliating, tightening and minimizing of pores possible for both the face and body. With gentle, Clear Skin Technology, Spa Sonic is a specially designed with anti-irritating comfort bristles and can be used daily. Other brushes can be harsh on sensitive skin leaving it red and irritated. I have used the more expensive Clarisonic device too and find that the Spa Sonic doesn’t irritate my skin like the Clarisonic does, I think any woman would love it and their smooth skin after. Available in white, lavender and pink shades too. 3. Let me introduce you to a cult UK natural beauty brand STEAMCREAM – an all-in-one natural skin-friendly everyday moisturizer in a cool metal tin in a variety of designs. It is handmade in the UK and Japan by a unique steam process with fresh ingredients and is vegan approved. STEAMCREAM is formulated for your face, but as it’s so light you can use it all over your body and hands too. Some of the beautiful natural ingredients in STEAMCREAM, which are ideal for sensitive skin, are chamomile, rose, almond oil and an infusion of oatmeal. Their anti-inflammatory powers help to keep even the most easily affected skin feeling calm. The limited-edition tin above is "Holly" and is so festive that it doesn't even need wrapping paper. Best of all, it's only $20 and is available online and Duane Reade’s Look Boutiques. 4. Now, how cool is this? Stack Wines’ ultra convenient packaging allows your and your guests to enjoy tasty wine without extra glassware and corkscrews. This unique concept offers the only tear apart, single serve packages shaped like a stem-less wine glass, and features four individual containers that stack on top of one another to form the equivalent of one full bottle of wine. Essentially, this bottle of wine comes with built-in cups and individual portions so you can have a glass of wine without opening an entire bottle. It's perfect for the impromptu office party, the beach, a picnic, concert, watching Cougar Town or like right now! I also love that you can reuse and repurpose the durable plastic containers. Available for $12.99 in four varietals - Chardonnay, Pinot Grigio, Cabernet and Charisma a red blend. 5. My dentist years ago told me Philips Sonicare was the best powered toothbrush, but it was always so expensive. We actually registered for it for our wedding, lol. Luckily, now the new Sonicare PowerUp from Philips Sonicare, the #1 dentist recommended power toothbrush brand, provides a Sonicare-worthy clean for just $19.99 at Bed Bath & Beyond, Walmart, Target and Drugstore.com. It delivers more than 15,000 brush strokes per minute (that's more strokes in 1 day than your manual in a month) and is proven to gently remove more plaque than a manual toothbrush, reduce the risk of cavities and improve gum health. 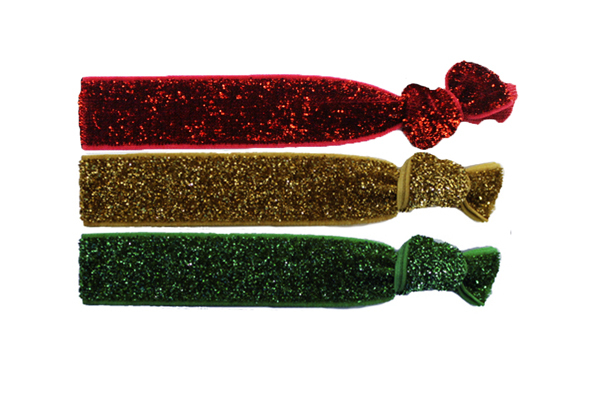 Perfect for a stocking stuffer! And if she already has one like me, this could be her travel brush, so you can always have great hygiene routine when traveling too. Available in orange and blue colors. 6. Cold Brew Tea Set Kit from The Tea Spot $14.95. I've blogged about the Steep & Go before and now you can get that and 10 single servings of organic loose leaf cold infusions tea for making iced tea on-the-go in under 10 minutes. No need to boil water as this tea brews in cool water. Just add their loose tea to your water bottle and screw in the Steep & Go infuser and you're all set. I recently used mine in Florida to stay hydrated and healthy. 7. And for hot tea, there's the Mighty Leaf TeaTop Brew Mug $14.50, perfect for tea lovers who commute. The used tea pouch nestles in the lid – no mess! Plus, this prevents your tea from getting too bitter or having to get your hands wet trying to remove a pouch from hot water or finding a place to dispose of it. I often take to-go cups for when I'm on the train going into the city and toss both the cup and soggy t-bag, but this would be a more Eco-friendly option and just as easy. I'll also be able to save the used tea leaves for my compost and rose bushes. Stacked wines is my favorite, so fun and so tasty!